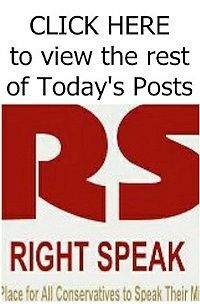 RIGHT SPEAK: Were Friday’s Police Killings Examples of Far-Left Terrorism? Were Friday’s Police Killings Examples of Far-Left Terrorism? The early stages of the investigation shows that Miller had made threats to law enforcement on Facebook . . . In the days prior to the shooting, Miller posted several articles on Facebook related to the Ku Klux Klan and Neo Nazi demonstrations in Charlottesville, Virginia, WKMG reports. Miller’s Facebook page disappeared from the social media website Saturday night. His posts show anger towards police officers, President Trump, and white people, as well as frustration over the events last week in Charlottesville, where a man attending a white nationalist rally plowed his car into a crowd of protesters, killing 32-year-old Heather Heyer. “Damn Terrorist…White Terrorist in America. Be on the look out for white males that look like him,” Miller wrote in a post earlier this week along with a photo of James Fields, the 20-year-old white nationalist who has been charged with second-degree murder in Heyer’s death.